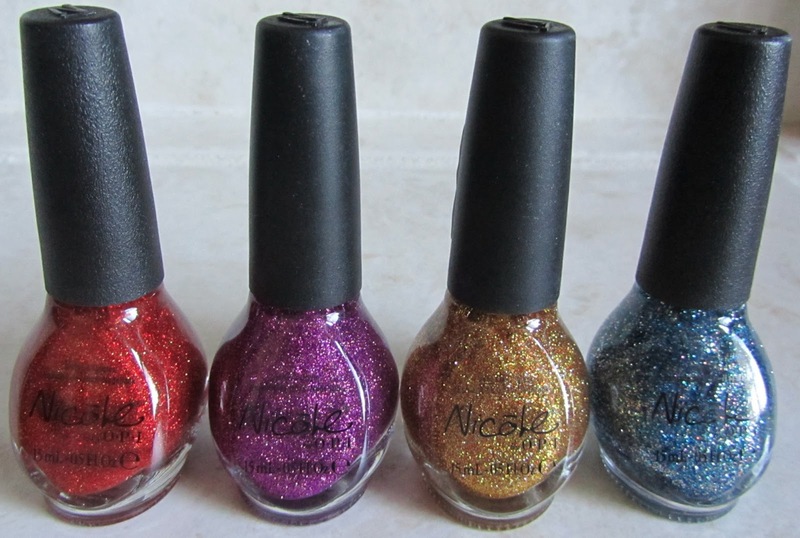 Polishology: New Polish for a New Year Giveaway! Happy New Year! I hope everyone is off to a fantastic start to 2012 - I know I am enjoying the new year so far. I apologize for my general absence over the holidays, but I have been quite busy visiting family and didn't have a lot of time to play with polish - I was too busy playing with my adorable niece who was here to visit. But I promise to get back to regularly scheduled postings in the new year. And what better way to start the new year off than a giveaway? 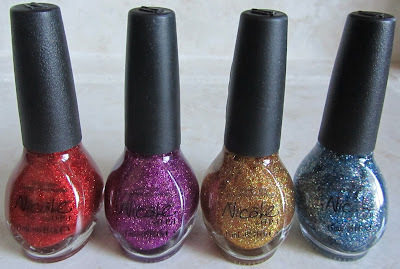 For this giveaway, the prize will be one full set of the Holiday Glitters from Nicole by OPI - you can see my swatches and review of these beauties here. Just fill our the form below before the deadline of January 20th. I will pick the winner by random number generator shortly after that deadline - as soon as I have time to compile all entries! This giveaway will be open internationally, and you must be a GFC follower to enter. I am going to keep entries fairly simple on this one so it is easier to go through for me - and easier to enter for you! Good luck to all who enter! This is so great and so nice!! Thanks for the giveaway!! happy new year! I am so sorry, I entered the contest twice by mistake! I am a follower for years. happy new years =] awesome giveaway thanks for the chance of winning these babies!